Over 2,000 runners, cyclists and children took part in the return of the Morpeth to Newcastle road-race – the oldest in England. We were delighted to sponsor the historic race, which first began over 100 years ago. People of all ages got involved. Runners chose from a marathon and half marathon. Cyclists took part in the 26 mile cycle sportive. There was even a mini-mile fun run for under 17s. The 26 mile race started at Morpeth and captured the stunning Northumberland and North Tyneside coastlines en route. Runners and cyclists passed through Cramlington, Blyth, Whitley Bay and North Shields before finishing on Newcastle Quayside. Gateshead Harrier Conrad Franks won the marathon in two hours 38 minutes. The half marathon began at Whitley Bay. It also finished at the Quayside and was won by Saltwell runner Abraham Tewelde in one hour nine minutes. The race was first ran in 1904 but had to be cancelled in 2006 due to spiralling costs. 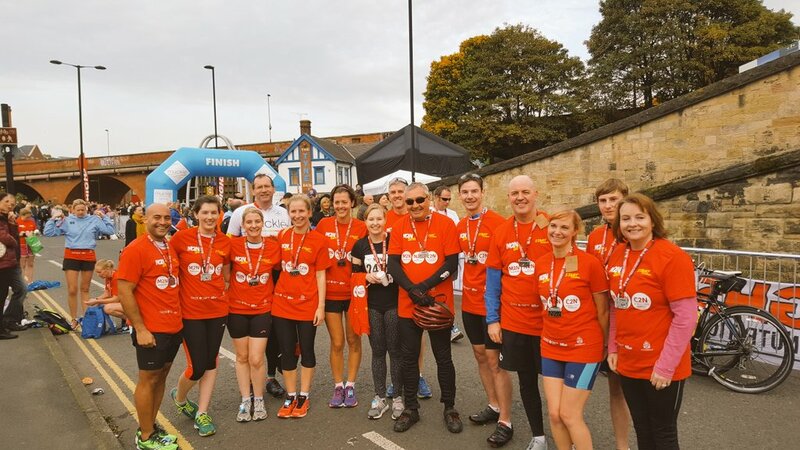 This year’s race was organised by Newcastle based business Total Racing International (TRI), and athletes were encouraged to raise funds for local charities as part of their entrance fees. Phil Gray, Managing Director of TRI, said: “We wanted to create an all-inclusive occasion to celebrate the resurrection of this iconic race not just for athletes and keen runners but for families and children too. “We wanted to open it up to as many people as possible. The cycle challenge meant people who might not run marathons could still enjoy the atmosphere and be part of the event. By growing this in future years we hope to build something really special in the region that everyone can be part of. Over 25 Muckle LLP employees and their families took part in the race, and many more volunteered to help out organisers or cheer on the athletes throughout the weekend. 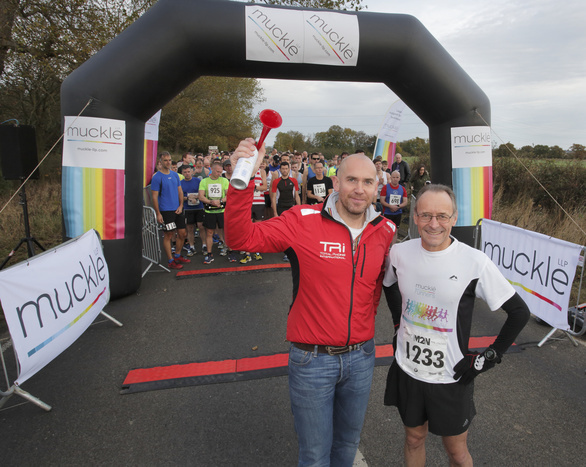 Hugh Welch, Senior Partner at Muckle LLP, took part in the marathon. He said: “We were delighted to add our support to this historic occasion and celebration. The race was supported by Northumberland, North Tyneside and Newcastle councils. Start Fitness and Stratstone BMW Tyneside also sponsored the event. Click here to find out more about our passion for North East community projects and being a responsible business.